Most teenagers are incredibly inarticulate about their religious beliefs and practices. They typically cannot defend what they believe. Young, uniformed believers also reject important Christian claims. Sixty-three percent of teenage Christians don’t believe Jesus is the Son of God; 51 percent don’t believe Jesus rose from the dead; 68 percent don’t believe the Holy Spirit is a real Being. Between 60 percent and 80 percent of people aged 15-30 will leave the church for at least a season, ad most will never return. Only 33 percent of young, churched Christians said that church will play a part in their lives when they leave home. When surveyed, the largest segment of young, ex-Christian respondents said they left Christianity because they had intellectual doubt, skepticism, and unanswered questions. J. Warner Wallace is one of the most engaging writers I’ve ever read: to read him is like hearing him argue a public case. It is tragic that we have such strong evidence supporting Christian faith and yet many church-attending Christians never learn to articulate such evidence for people who–like me in my atheist days–desperately needed to hear it. More tragic still are young minds swayed by the mere assertions of Christianity’s often grossly misinformed, uncritical yet self-assured critics. Wallace’s case for making a case offers a desperately needed correction to a church culture too negligent about articulating truth. Shouldn’t we, as Christians, be the one group who knows why our beliefs are true and is most willing to defend what we believe? Why, then, are we often uninterested in the evidence? Why do we sound like every other religious group when asked to give a reason for our beliefs? It’s time for the distinctly evidential nature of Christianity to result in a distinctly intelligent, reasonable, and evidential family of believers. This Christian difference ought to form our Christian duty. 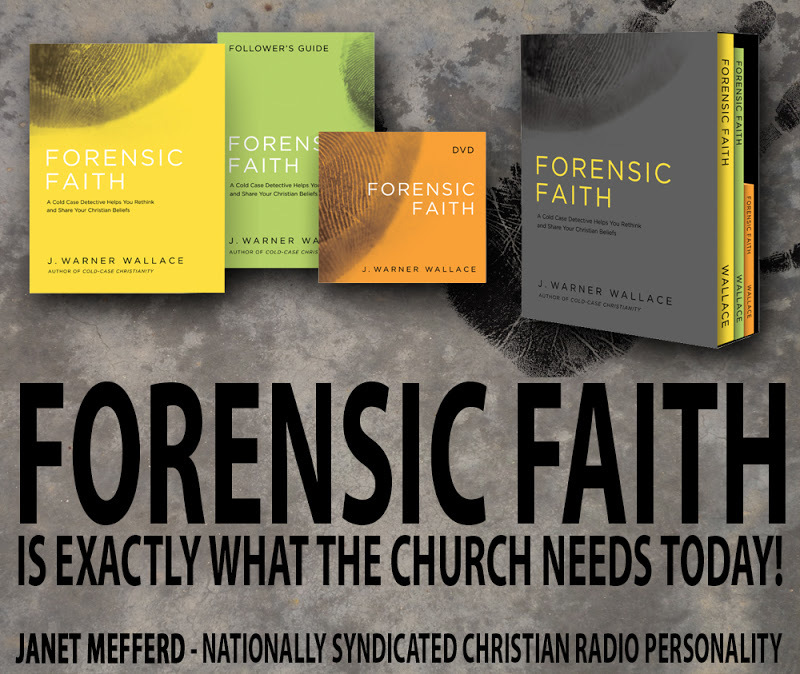 We are called to embrace a forensic faith and to love God with our minds. Police officers are called to serve and to protect. You don’t enter this profession unless this mission is part of your DNA. Officers understand their sworn duty, train rigorously in preparation for their mission, and lean how to investigate and discern the truth so they can ultimately communicate this truth to a jury. Every day is a call to action. As a church, we can learn something from this resolute approach to mission. As Christians, we have a similar duty. The apostle Peter said we are called to serve one another with “sympathy, brotherly love, a tender heart, and a humble mind” (1 Peter 3:8 ESV) and called to protect the truth by “being prepared to make a defense to anyone who asks you for a reason of the hope that is in you” (verse 16 ESV). Christians are called to serve and protect. If we want to fulfill this duty, we’ll need to train rigorously so we can investigate and communicate the truth. I hope Forensic Faith is your call to action. It’s time to change course. It’s time to raise the bar. It’s time to get serious. It’s time to embrace our distinct duty as Christians. To loosely paraphrase the late Mark Twain, “The news of the demise of apologetics has been greatly exaggerated.” For decades now, skeptics who prematurely proclaim their beliefs as “settled science” have been assisted by Christians who prematurely proclaim apologetics–the practice of presenting arguments for the Christian worldview and against non-Christian worldviews–no longer helpful, if it ever was in the first place. They couldn’t be more wrong. It certainly sounds spiritual to say things like, “Arguments never saved anyone,” or, “No one is ever argued into the kingdom.” Such cliches are, however, silly straw men. I don’t know a single apologist who things of their arguments as salvific. Perhaps there are one or two who do, but I’ve never met them. More importantly, however, such statements display a misunderstanding of who we are as people. Certainly, faith involves more than our brains, but it does not involve less.–John Stonestreet, president of the Colson Center for Christian Worldview.